If you’re one of the hundreds of new daily visitors to BeHappy101.com or a new subscriber to this BeHappy! Newsletter... welcome aboard! And, if you're one of the regular happy visitors to BeHappy101.com or readers of this newsletter, welcome back!! I am a doctor, corporate executive, entrepreneur, author, and speaker. My wife (Jill), our 7-year-old daughter (Joie), and our 3-year-old daughter (Jae) live in Tampa Florida and Newport Beach California. This is far beyond a “How To” concept. It is rather a “Do” system, which, when used in conjunction with the BeHappy! book and The Happiness Academy (coming in early 2014), helps create your own personal “Happiness Plan” for your life. If you want a template or “blueprint” for this Happiness Plan, click here and you can get it free. Also, make sure to get my free “Happiness Formula” Video Course just by clicking on the link in the box at the top right (just under the great "income opportunity" box) or just click here. It will change your whole perspective on happiness – and on life in general. 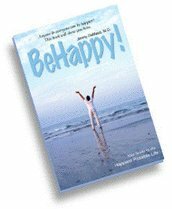 And get a FREE Copy of "BeHappy! at Work"
MY GUARANTEE TO YOU: While much of the information here at behappy101.com is free, I want you to BeHappy! with anything you purchase on this site; our reputation depends on it. So if you are not satisfied with anything you buy on this site, for any reason whatsoever, simply contact me and I will have a refund check cut and sent to you immediately - no questions asked. Religion around the world is broken down like this: 33% of the people in the world are Christians, 21% are Muslims, 13% are Hindus, 6% are Buddhists, 2.3% are atheists, 0.4% are Sikhs, 0.2% are Jewish, 0.1% are Baha'is, 12% are of other religions, 12% are nonreligious. 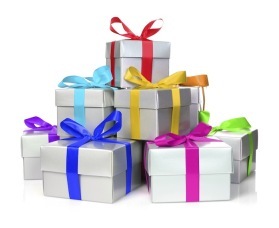 In a poll of 4,554 online shoppers, ‘receiving gifts’ came in as everyone's least favorite holiday activity - across all age groups. ‘Spending time with family’ was far and away everyone’s favorite part of the holidays. The October edition of this newsletter was the last of a 3-part series on "money and happiness" – dealing with an important concept called “multiple-streams-of-income”. This concept, which I believe everyone should use in life, involves using your passions, skills, training, and/or current source of income to create additional sources of income which, ideally, are passive income streams and ultimately could replace your primary source of income if it became necessary for whatever reason. This is how anyone can create financial security - and even financial freedom (which is true financial wealth) - if wealth and financial freedom are part of your personal Definition of Happiness. So if money, wealth, or even just a higher income are important to you (and especially if they are part of your Definition of Happiness), then it is essential for you to establish a multiple-streams-of-income process as part of your wealth-building strategy. To that end, did you take the actions outlined in the October newsletter, which were designed to help get you started on this path to multiple income streams? 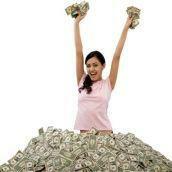 Did you check out the two passive and residual income streams I suggested? If not, do it now by clicking here to check out the amazing Rippln social media income opportunity or clicking here to look into starting your own money-making website. If those two opportunities are not your "cup of tea", then did you make a list of other ideas for additional income streams? If not, why not? Perhaps money, wealth, and income are not really that important to you. If you did make that list, did you take the next step, which was to take some kind of action towards starting your additional income streams? For those of you who did, there are probably some who are already generating income from your new idea. If you took action on the Rippln opportunity or created your own website, for example, you could certainly be making income by now. Even a very simple website can be making hundreds of dollars daily within a matter of a couple of months. It's not easy or guaranteed, but it is definitely possible. The bottom line is that, if you want more income, financial security, or greater wealth, you must take action toward creating multiple-streams-of-income. So get to it if you haven't already. Well, that ends the "money and happiness" series for now. I hope you got a lot out of it and got inspired to create the kind of financial life you want and deserve by improving your money mindset and attitude (which was the subject of the June edition of this newsletter), increasing your primary source of income and learning to love what you do (from the August edition) and then began creating multiple-streams-of-income (with the October edition). Although this edition of our newsletter is not really a holiday discussion, spirituality is a timely topic since many people think about the true meaning of the season and what’s most important in life during this time of year since the basis for the holiday season relates to spiritual and/or religious beliefs, which can get obscured by the “commercialism” created over the past several decades. Well, for this edition of The BeHappy! Newsletter, let’s talk about Spirituality, Religion, and Happiness. Spirituality: Of, relating to, or affecting the human spirit or soul as opposed to material or physical things. Religion: The belief in a god or in a group of gods; an organized system of beliefs, ceremonies, and rules used to worship a god or a group of gods. Spirituality can be defined as: “Of, relating to, or affecting the human spirit or soul as opposed to material or physical things." Part of spirituality may include religion for much of the world (where religion is more specifically focused on beliefs and practices based on a god or group of gods). There are many strategies and "formulas" for happiness, and there are many ways to look at life as it relates to being as happy as possible. One of the "formulas" I read about recently basically boiled happiness down to "faith, family, friendships, and work". While I don't necessarily agree it's that simple or that it's even the same for everyone (and I believe there are many other components to a happy life), these 4 concepts (faith, family, friendships, and work) are certainly part of the story. Positive expectations for the future: Spiritual people tend to see a lot of beauty in the world, which can reduce their focus on the negatives of life (which are certainly prevalent in our world today) and helps make them feel more positive about our world and our future. I know for me, a beautiful sunset is a spiritual experience. It helps make me happy and optimistic about life. When I am sitting on the back of our boat with my wife and daughters at Catalina Island, with great music playing, it's a spiritual experience for me. It helps make me happy and grateful. And, even though I am not a "religious person", I love going to Mariners Church in Newport Beach, California because of the great "spiritual" experience it provides, since I am very spiritual. For people who are religious, where there is also usually some belief in an afterlife, there can be the added feeling that there is more after we die. This can surely help bring more positive expectations for the future since the alternative is not nearly as attractive. I sure hope they are right. The bottom line is that having positive expectations for the future helps us be happier, and spirituality or religion can help increase those positive feelings in many ways. Relationships: My former business partner, Tony Robbins, says, "the quality of your life is the quality of your relationships". In other words, great relationships makes for a great life and poor relationships makes for a not-so-great life. Obviously, there are no absolutes here, but I think we can all agree that it is better to have great relationships than to have poor relationships. It is outside the scope of this newsletter to get deeper into this subject, but there is a lot more about relationships at BeHappy101.com. The concept here, as it relates to spirituality and religion, is that religious practice inherently can foster positive relationships. First, there is a relationship with God or some "Creator", superior being, or spiritual entity. Beyond that, for those people who attend religious services regularly, there is a great sense of community and many great relationships can be created. Some of the strongest relationships possible have been started this way. Comfort during difficult times: Life is tough. We all know that. And, as they say at Mariners Church, it's best not to go through life alone. Part of their message here is that, because life is tough, we all go through difficult times. Some people go through very difficult times, like getting diagnosed with cancer, going through a divorced, having a spouse, child, or parent die, and losing a job or dealing with a significant financial crisis. People tend to get comfort through the sense of community and togetherness a religious practice or spiritual connection can provide. Many times, there are people going through the same or similar hardships. There are almost always people who can provide great help and support. Contribution and "doing the right things": There is generally a sense of contribution associated with religious practice. Contributing to support a place of worship or helping people in need is a common theme. I mentioned Mariners Church in Newport Beach California. They are constantly raising money for needy people and looking for volunteers to help out in underprivileged or difficult situations in many poor countries. As indicated throughout BeHappy101.com, contribution is an essential factor for true happiness. Happy people are contributors and contributors are happy people. It's part of my "Happiness Formula" (get my free Happiness Formula video course by clicking here). Remember, though, I am not saying you must have "faith" related to spiritual or religious beliefs to be totally happy. Everyone is different. Many people with strong religious beliefs are not totally happy and many people with no religious beliefs are totally happy. It's just that, for many people, the connection, optimism, "comfort", and "moral philosophy" they feel from their spiritual or religious faith and practice help make them happier. Like everything in life, the old saying, “practice makes perfect” applies to happiness, too. By using the tools and concepts in the book, BeHappy! - and applying the principles found at BeHappy101.com and in this bi-monthly newsletter - you'll get the coaching and the “practice” you need to lead the happiest possible life. Take these actions over the next sixty days and by the time you receive the next edition of the BeHappy! Newsletter (in February), you will likely be starting 2014 with a much more positive, peaceful perspective than you might expect. Since it is the holiday season, the first thing to do is focus on your reason for the holidays. And I'm talking about the real reason. Why does your holiday exist? Why do you believe what you believe? What is really important in life? Next, consider your spiritual and religious perspectives and beliefs. Are you spiritual? Are you religious? Are you both? Are you neither? Do you practice a regular religious activity? If so, why? If not, why not? Once you answer these questions, think about how your answers may relate to your happiness (or not). If you are spiritual and/or religious, and this adds to your life in a positive way, you are certainly doing the right thing. The question then is, do you need to change anything about your spiritual or religious life? The most dramatic action for the next 60 days is for people who don't have a spiritual or religious side at all and think it might be something to explore to improve life and happiness. First, open your mind to the possibility that some spiritual or religious thinking could help with happiness (as it has been shown to do for many people). Remember, this does not mean you have to adopt any particular beliefs or practices and you don't have to start going to a place of worship. If that's for you, great. But if not, that's okay, too. This is more a "psychological" issue than a "religious" or "physical" issue. If it is something you feel you might want to consider, the biggest action to take is to check out a religious service within the next month. As I mentioned, although I am spiritual, I am not a "religious person" and so I am not inclined to attend religious services. Still, I really like going to Mariners Church in Newport Beach, California when we are there, though, for many reasons (and I didn't want to go at first). But now, it can be a very spiritual experience for me. They have great music (and I love music), it is usually quite motivational (we all need motivation), and the message is generally very educational (there are many great learning opportunities during the service). And, they have a fantastic children's program and lots of great family activities. For me, the whole experience is very positive - and it makes me happier. So, give it a try if you need something to help provide greater meaning and happiness to your life. Again, if it's not for you, nothing lost. But, just the sense of community it may bring could enhance your life. Make sure you get my FREE Happiness Formula Video Course...A 5-Part video course on my “formula for happiness” by clicking here. It’s a gift from me for being a loyal subscriber. 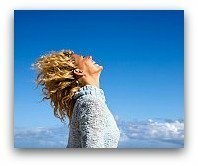 As always, there are new Quotes & Poems added to the BeHappy101.com website every month or two. At this point, there are well over 1,500 quotes there for you to read, use, and share. Click here to read the latest collection of quotes on happiness, success, wealth, motivation, and spirituality.